I love a good latte or mocha in a cute coffee shop. Bonus points if the latte has an extra shot of espresso, and more bonus points if said coffee shop is locally owned. I like a good Starbucks drink as much as the next basic white girl, but when given the option, I’ll pick a local spot over a chain almost every time. Chattanooga has plenty of options when it comes to local coffee shops and cafes. As much as I love taking coffee breaks in the afternoon, I’m also a fan of getting downtown early and treating myself to a nice coffee before work. Especially on Mondays, it’s a nice, quiet way to get my mind set and start the week on a good note. 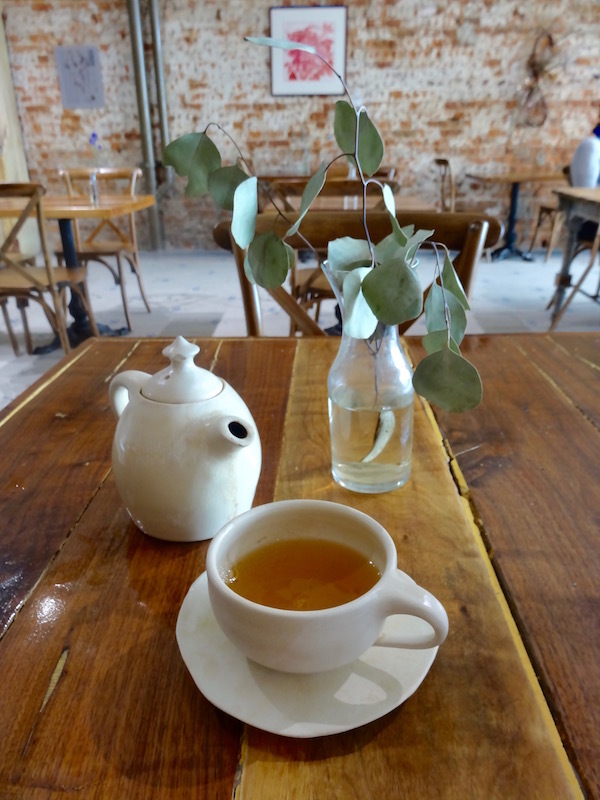 Not only is Chattanooga home to many great coffee spots; we’ve also got great spots for tea and hot chocolate. 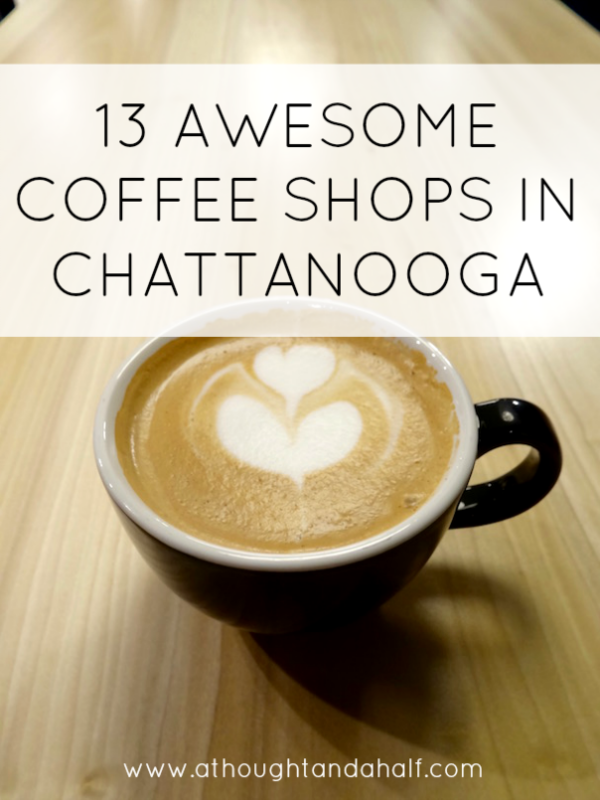 No matter your taste, Chattanooga has a cafe or shop that has what you’re looking for. Here are 13 of the best coffee (and tea) shops in Chattanooga! You’ll find me at any one of these each week. Or sometimes each day. Many of these places have appeared in my Weekly Sip series, and I can’t wait to check out the others I haven’t been to yet! 1. Cadence Coffee Co. // This is a favorite spot among some of my coworkers. It’s convenient to our office and offers many of our favorite traditional coffee and espresso drinks. You can also grab some hot chocolate, hot tea or a pastry if you need an afternoon snack. 2. 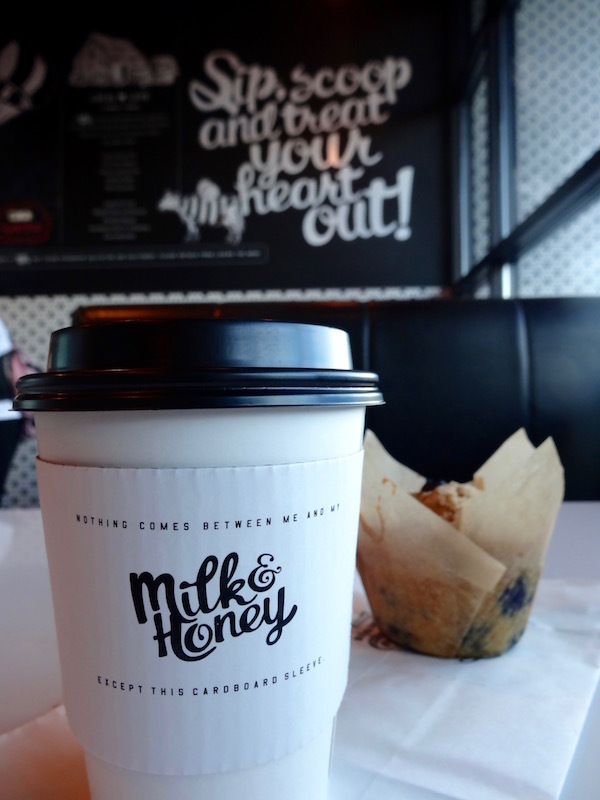 Milk & Honey // It’s no secret that I already love this place. Coffee, tea, breakfast sandwiches, pastries, lunch and now dinner options, and gelato? It’s amazing I don’t go there every week. I’m a sucker for a good cafe mocha, and Milk & Honey does it right. Having a M&H coffee bar at Community Pie below my office doesn’t hurt, either. If you really want to indulge, treat yourself to an affogato: your favorite gelato flavor with espresso poured over top. 3. Mean Mug // I’d always heard how wonderful this place is, but only added it to my usual rotation in the last few months. Mean Mug offers all of your favorite coffee and espresso drinks, teas and hot chocolate (and let me tell you, that hot chocolate is great on a dreary, rainy day). Additionally, their food is to die for. All of their pastries are made in house, and they offer a full menu for breakfast and lunch. I highly recommend a scone and/or the prosciutto biscuit, and I hear the egg & avocado toast is delicious. 4. Rembrandt’s // Located up in the Bluff View Art District, Rembrandt’s is an adorable, European-style cafe that meets any expectations you may have from the outside. Stop by in the morning for coffee and breakfast and enjoy the quiet patio before getting into the rest of your day. Take your lunch break here and try one of their many soups, salads or sandwiches. Or, come to Rembrandt’s in the evening for a sweet treat after dinner. I recommend the tiramisu. 5. Velo Coffee Roasters // These guys are some of the best coffee roasters in town. Their research, roasting and tasting process is exquisite and it leads to some really delicious brews, both hot and cold. Cold brew coffee usually isn’t my thing, but Velo’s is really tasty (and stout). 6. The Camp House // This was one of the first coffee shops I visited when I moved to Chattanooga almost two years ago. It’s another one that’s convenient to work, so it’s easy to walk there for a little break. Grab a coffee and breakfast to start your day, or venture to Camp House for soup, a salad or sandwich during your lunch break. As good as their coffee is, I’m a huge fan of their jasmine green tea. Check out their live music schedule, too; they usually have some great shows on the weekends! 7. Daily Ration // Okay, so it’s not solely a cafe or coffee house, but they do serve coffee in the mornings, and it’s pretty good. I love a good mocha to start my day. The Daily Ration opened in June 2016 and quickly became a favorite spot among locals. It’s a bit of a drive from my side of town but it’s definitely worth it. 8. 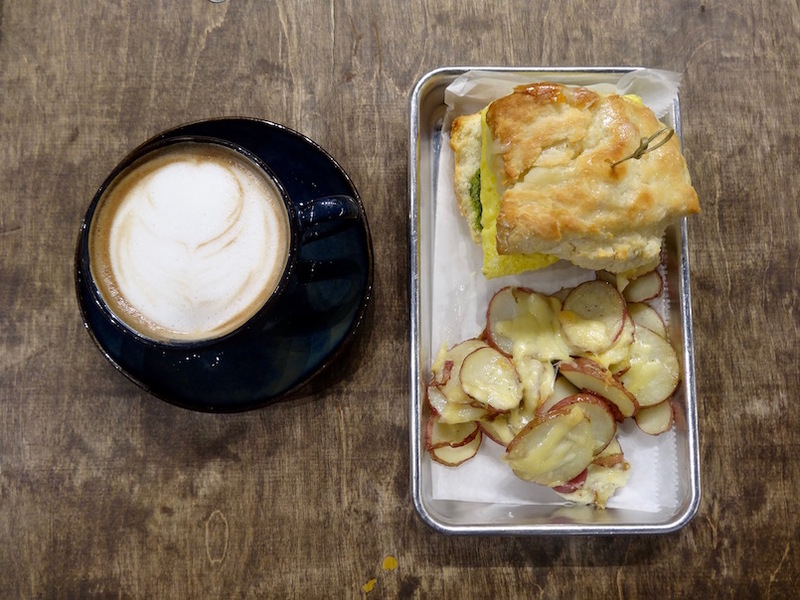 Goodman Coffee // This is one of the newest additions to the coffee scene in Chattanooga. Situated at the front of Warehouse Row, Goodman is quickly becoming one of my favorite coffee shops in town. It’s a great spot to work, sip on an espresso drink and enjoy a pastry. Their cinnamon rolls are enormous and delicious. It’s also an easy walk from my office, which is kind of dangerous. 9. Mad Priest Coffee Roasters // Its space is small but it is packed with some of the best coffee you can get in town. Mad Priests brings its beans in from some of the best coffee countries in the world, like Peru, Guatemala, Yemen, Colombia and more. The coffee from Mad Priest is wonderful, but what really makes Mad Priest stand out in town is its dedication to “champion [for] the displaced” by employing refugees that have settled in Chattanooga in their shop. 10. Stone Cup Cafe // I stopped in here for the first time recently and I can’t believe I hadn’t been there before! It’s situated on Frazier Avenue with a nice view of Coolidge Park and the Walnut Street Bridge off the back porch. Any place that serves up a good Cubano (Cuban coffee) is high on my list. 11. Wildflower Tea & Apothecary // This is one of the cutest places in Chattanooga! I can’t believe it took me until this fall to go there and check it out. Wildflower offers a huge selection of loose-leaf teas of all varieties, along with oils and other medicinal items. My go-to tea is the jasmine green tea, but the Moroccan mint is also a solid choice. I hear their chai lattes are quite good, too. 12. The Hot Chocolatier // As the name suggests, The Hot Chocolatier specializes in chocolate treats and drinking chocolate, but they also serve up some great mochas, lattes and other coffee drinks. Pair your beverage with one of their delectable cakes, cookies, truffles, eclairs or other sweet treats and your day will get ten times better. 13. Frothy Monkey // Okay, so this isn’t a purely local Chattanooga spot, but it’s a Tennessee establishment and it’s still pretty cool. Frothy Monkey is a recent addition to Chattanooga’s food scene with its new location at the Choo Choo on the city’s Southside. It’s got an extensive menu of coffee, tea, pastries and breakfasts, and some delicious-sounding sandwiches, salads and soups for lunch and dinner. + Coffee (St. Elmo, Downtown) *I’ve had their coffee, but never actually been to their locations. Whether you’re a coffee, tea or hot chocolate drinker, Chattanooga has all of your beverage needs covered. I usually hit a coffee/tea shop once a week before work, and with so many great choices, I can’t go wrong any place I go. What’s your favorite coffee shop in your town?